As applications are used and installed, PCs usually slow down. Hard drives fill up with temporary files when you use games, spreadsheets, the Internet, work processing, or other programs. When these files are no longer needed, they rarely get removed. This is just one of the more common ways in which PCs are slowed down. There are products you can purchase to speed and clean up a slow computer. There are also freeware options that serve as powerful tools for registry defrags, cleaning hidden errors and system junk in the registry, updating drivers, and for conducting disk defrags. 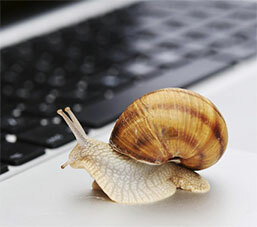 To learn more about causes of PC slowdowns and how to keep your PC running smoothly for free or next to nothing, read on. Unless relocated by the user, you can locate the task bar at the bottom edge of your screen. A group of small icons known as the system tray is located in the right side of the task bar. All of the programs that are running in the background or at least partially started are represented by an icon in the system tray. Each of these causes a reduction in resources, such as processing power and available memory, regardless of what state they are in. To disable or enable task bar processes and programs from automatically starting when you load Windows, there is a utility that is built right into Windows. Access the Run application either by going to the start menu or searching your apps. Type “MSCONFIG” in the box that appears and click OK. Search the names of any processes that you know nothing about. Since some processes are needed for your computer to function normally, do not disable a process unless you are sure of what it does. When you are actively using just one program, such as video editing software or a game program, you can boost performance on your computer and temporarily disable unnecessary background processes with one of the useful freeware programs out there. With this software, all of the background processes will be reloaded once you resume normal mode when you are finished. To list all programs on a Windows system, a utility called Process Explorer can be used. Compared to task manager, it is much more comprehensive. You can learn exactly what each program is doing simply by hovering your mouse over its name. All of your computer’s essential information about installs, uninstalls, updates, and more are kept in the registry. A key is produced each time you perform one of those functions. Free space and resources need to be used by the key. This can lead to clogging and overburdening of the registry. Consequently, you can speed up a slow PC by cleaning up your registry and freeing up space and resources. You should clean your registry if it has over twenty errors when you scan it. If you are into do it yourself projects, then you should use great caution when you choose to clean your registry on your own. You do not want to delete anything that is essential to your computer’s functioning while you are trying to get rid of the unnecessary junk littering your registry. Fortunately, you have a couple options. Cleaning the registry can be performed for you when you purchase the right software. Or, it can be done manually. Before you get started cleaning your registry manually, you must make a backup of the registry. This will serve you later on if you discover that you deleted a file that you should not have. Search your computer’s programs and files for “regedit”, either by going to the Start menu or the menu on the right of your screen (with Windows 8). This will launch the Windows registry editor. By clicking File and then Export in your registry menu, you can create a backup of your registry. Select All for the export range. Pick a location and name that you will remember when you save the file. Select the folder called HKEY_CURRENT_USER in your registry editor. Click on the plus sign next to the folder to expand it. Also, expand the Software folder. If you see any software in there that you have uninstalled, go ahead and delete it. Highlight Run once you are there, and look for shortcuts to the executable files in the left side pane. Files that you are sure you can get rid of should be deleted. Files that are used when you start up Windows will be removed through this process. Consequently, your PC’s boot process will be sped up. For HKEY_CURRENT_USER repeat this process, then when you are finished, close the registry editor. If anything went wrong during this process, you already have the registry backed up, so you can just refer to that file if needed. Older computers can be overwhelmed by the computing power required for the way modern desktop menus fade in and out, the 3D styles, and the fancy rounded window corners. These appearance-only enhancements can be turned off. 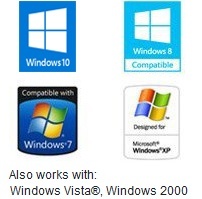 With Windows Vista, you can achieve this by clicking on the Start button, going to Control Panel, choosing System and Maintenance, and then choose Performance Information and Tools. Click Adjust visual effects. Provide the confirmation or type the password if you are prompted for this administrator information. Choose “Adjust for best performance” on the Visual Effects tab. You can also turn off and on individual setting to see which will work without slowing your machine down by trying the Custom option. Windows 7 and 8 – Open up the Control Panel by clicking the Start button (on Windows 7) or searching the apps (Windows 8). Pick System and Security from there. Click on System when you see it, then choose Advanced system settings. Click on Settings under Performance once you are sure you are on the Advanced tab. Here, you can either choose to Adjust for best performance or if you would like a compromise between performance and fancy visuals you can go with Custom. Buggy drivers are the main cause for all kinds of PC problems, including poor performance, unexpected crashes, hibernation and sleep issues, and spontaneous reboots. Sound Card Drivers – To help with the dependability, performance, and compatibility of the sound card, you should regularly install and update the latest drivers for the sound card. Removable Media Drivers – The reliability of the removable media device is aided when you update or install the most recent driver. Network Card Drivers – In addition to improving reliability with the latest drivers, network card manufacturers sometimes also have firmware updates. These firmware updates may resolve hardware issues or other issues relating to the compatibility of the network card. Modem Drivers – Reliability and potentially the speed of the modem are improved when you update your drivers. To correct hardware issues with the modem or to support new standards, like V.90, some of the modem manufacturers also put out firmware updates to upgrade the modem. Keyboard Drivers – Your keyboard should be setup by the operating system and not require any drivers unless it contains special function buttons, like an Internet button, email button, etc. In those instances, keeping drivers up to date is imperative. Controllers – The performance and reliability of the drives connected to the controller and the dependability of the computer improve when you install or update the newest drivers for your computer controllers. BIOS Updates – When you feel your computer hardware is not performing as it should or you are having compatibility issues with your hardware, you should run computer BIOS updates. These are essentially the only times you would perform these updates. Video Drivers – The performance, dependability, and compatibility of your video card are all improved when it is using the latest drivers. Firmware updates can also help with these issues. Scanner Drivers – The compatibility and reliability of your scanner are improved when the most up to date drivers are installed or updated. Printer Drivers – Again, the compatibility and dependability of the printer can be improved by updating or installing its current drivers. Motherboard Firmware, Updates, and Drivers – The compatibility, dependability, and performance of the hardware installed on your computer and the motherboard are helped out by updating the computer’s motherboard chipset and motherboard drivers. Mouse Drivers – The mouse should be set up automatically by the operating system and not require any drivers, unless you are using a unique mouse that contains special features and buttons not found with the standard one or two button mouse. Display Drivers – For the most part, your flat panel display, computer monitor, or other display devices are automatically set up and detected by your operating system. However, if you know your display device is not updated by your OS, then you should update it manually to avoid issues down the road. DVD and CD Drive Firmware and Drivers – The overall performance and compatibility of your drives will be improved when you update your CD-RW, CD-ROM, DVD, CD-R, or other CD device drivers. The same is true for updating any firmware the manufacturer may produce. If you are like 99 percent of PC users out there, you have a headache after reading about all of those different device drivers that need to be updated. To do all of this manually, your best bet is to make daily visits to your hardware manufacturers’ websites to see if any new driver releases have appeared or sign up for endless newsletters. It may be a better idea to download and install Driver Turbo if you prefer to keep your life simple. With just a few simple clicks Driver Turbo will report on any driver updates that are available after scanning your PC for installed and missing drivers. The software will always download the correct drivers for you. In this section, we will look at a variety of different ways you can speed up your computer for which there may not be a specific cause for the slowdown. It is likely the age of the computer is playing a factor in the slowdown if your computer is more than five years old. You may need to come to terms with the fact that your computer has become obsolete because of the alarming rate of progress experienced in the technology industry. As new updates and programs come out, the minimum system requirements increase. If your computer is close to or does not exceed these requirements, you will experience significant slowdowns. Tip: We recommend buying a new computer if yours is six years old or older. Otherwise, you may just need to come to terms with the fact that your computer will always be slow. New computers are becoming more affordable than ever before. In the long run, it may pay for itself in the amount of time you save. Proper air flow in your computer can be constricted by dirt, hair, and dust. This can lead to the computer overheating. You must make certain your processor and computer are not overheating. To help compensate for heat related issues, most processors automatically decrease the speed of the processor. In this way, excessive heat can cause a significant decrease in computer performance. To avoid this issue, ensure your fans are not obstructed and your computer case is clean. Okay, if you bothered to find this article and read the entire thing, odds are you already tried rebooting your computer. We would also recommend that you restart your computer between each change you make to attempt to speed things up. A lot of changes to your computer do not take effect until the computer is restarted. Do you have suggestions to speed up a PC? Feel free to share them with us.